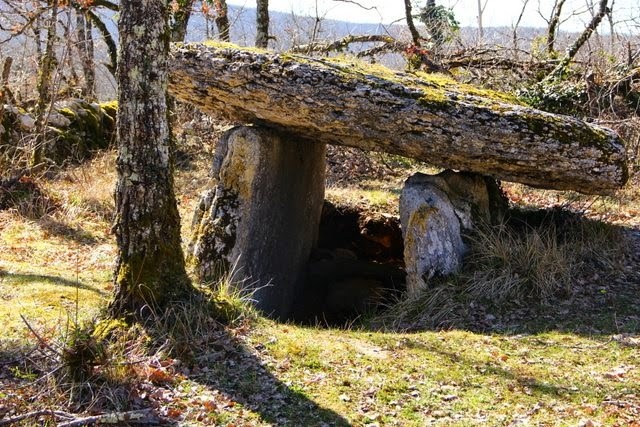 It was such a lovely afternoon; Lucie and I were just itching to get outside, so we went on a dolmen hunt. I'd passed the little sign to this one lots of times, but just never stopped to make the short walk to the site. It's a nice one, I think. 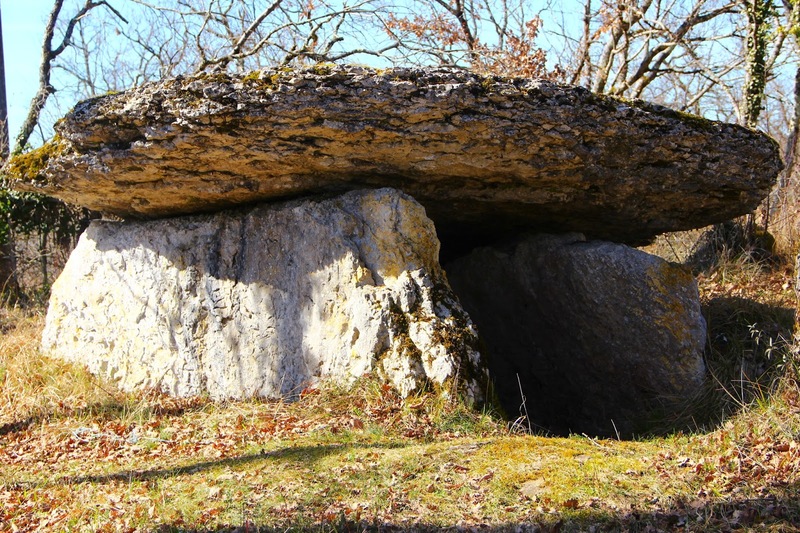 I'm always in awe when I visit these ancient tombs. Who were the people who buried their dead here thousands of years ago? Did they have any idea people would find their customs so intriguing these many years later? We do seem to share a lot of the same interests. I love to go on dolmen hunts too!